I've probably mentioned a time or two that I am a pack rat; it's my religion, it's my gift. This is always more evident when faced with moving to a new house, which is the case now. Everything that is cozily boxed up and forgotten gets unearthed and I remember, "crap, I have a lot of crap". At the same time, there is a certain secret pride and glee that comes along with this condition. And when I see shows like TLC's "Help! I'm a Hoarder" advertised I realize I'm not even close to off the deep end. I'm... nostalgic. 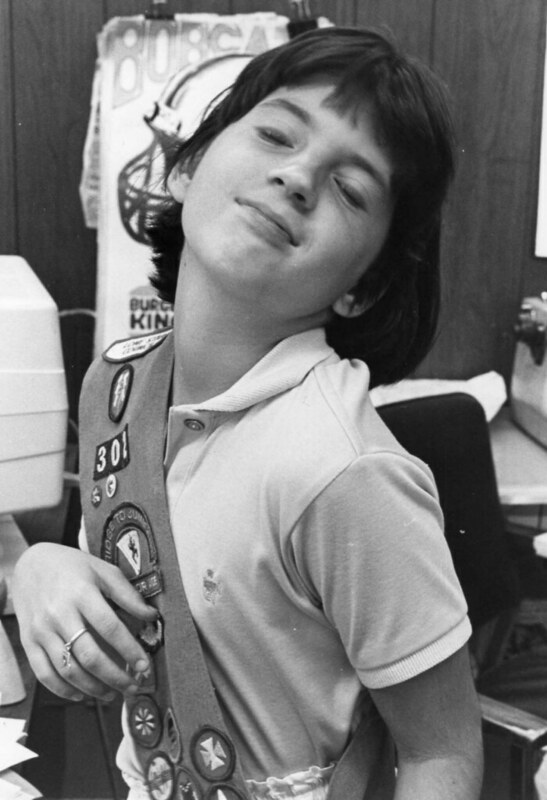 When I was a kid I was a Girl Scout, for several years in fact. 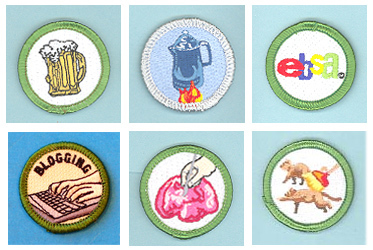 The main memory I have about that time in my life is the book of Badges and Signs. This was a list of activities that had to be completed in order to get various badges that would in turn be pridefully sewn onto a snazzy drab sling of green fabric for all to be jealous of. I still have this book. And I blame this book for developing some of my less desirable personality traits... or not; who really knows I guess. But if it isn't responsible for forming certain tendencies, it definitely nurtured them. Nothing felt better than the victory of completing a badge to-do list, getting the page signed off, and smacking that patch on my sash. I wanted the most badges. I wanted to win a competition that did not really exist. I did however learn some new things in the process. Of course I was under 11 years old so that's not so unlikely. Every now and then I contemplate going through the motions of earning what I never got as a child. I view the book on the same level as many crafting books or DIY magazines out there-- easy to digest inspiration, motivation to tackle a project, finished off with a sense of accomplishment. I dare say it'd probably do me more good now than when I was younger. Would it be weird to don the sash again? I have that too... somewhere. Or I could go for something a little more adult. Say, "Blogging", "Brain Surgery", "Ebaying", "Coffee Drinking", or "Beer Consumption". Now THAT'S aspiration with an apt reward. Maybe. Kind of. The new rage perhaps. If you excel in any of these areas I encourage you to wear your skill with pride and get your well deserved patch here.